Dr. Jianbing Li is a professor in the environmental engineering program at the University of Northern British Columbia in Canada. He obtained his PhD degree from the University of Regina in 2003. He has research interests in environmental remediation, energy recovery from waste materials, environmental modeling and risk assessment, and environmental systems analysis. He has published more than 180 journal and conference papers. He served as a guest editor for three international journals, and acted as a committee member for many international conferences. He also serves as a reviewer for many international journals and a variety of national and international research funding organizations. She is working on the utilization of different waste materials as alternative, cheap and renewable substrates for the production of value added products such as biofuels. Animesh Dutta is an Associate Professor and Director of Bio-renewable Innovation Lab, and Associate Director, Graduate studies with the School of Engineering at the University of Guelph. Dr Dutta is specialized in advanced energy systems and thermo-fluid science with hands-on experience in reactor design and pilot plant operation, design and performance of various tests in laboratory scale and pilot scale units, thermal design and process development. In his career, he has published over 75 peer-reviewed journal papers, 3 book chapters, and has roughly 85 conference publications and reports. silver, copper, lead, nanopowder, XRD, semiconductor, superparamagnetism, Electrolysis, graphene, bio-sensors, nano-biofertilizers, fertility, microbial fuel cells, nanocellulose, metal-polymer nanocomposites, solar cells, neutrino detection, satellite. Dr. Lew Christopher holds a Masters degree in Chemical Engineering and a Ph.D. degree in Biotechnology. He has more than 25 years of industrial and academic experience in the field of industrial biotechnology and bioprocessing of lignocellulosic biomass. He has worked as industrial research scientist and held faculty positions in departments of biotechnology, chemical and biological engineering, and environmental engineering in South Africa and USA. Currently he serves as Director of the Biorefining Research Institute leading an interdisciplinary team of faculty and researchers from several science and engineering departments at Lakehead University in Canada. His research mission is to add value to the global Bioeconomy by applying an integrated biorefinery approach to the development of renewable bioenergy technologies. Dr. Christopher is a member of the editorial board of several international biotechnology journals, advisory boards, and professional societies. He has made over 400 scientific contributions to the field of Biomass Biorefining including 8 patents, 4 books, and over 50 invited lectures delivered in Africa, Asia, Europe, North and South America. His research mission is to add value to the global Bioeconomy by applying an integrated biorefinery approach to the development of renewable bioenergy technologies. Dr. Christopher is a member of the editorial board of several international biotechnology journals, advisory boards, and professional societies. Dr. Weilan Shao holds a Master degree in Plant Disease and a Ph.D. degree in Microbiology. She has participated in the field of the thermophilic degradation and fermentation of lignocellulosic biomass since her PhD study (1990-1993) in the University of Georgia, USA. Dr. Shao has worked as a distinguished professor in Jiangnan University, Nanjing normal University and Jiangsu University in China. Her research mission is to develop feasible and economic effective approaches for renewable bioenergy processing by using molecular biotechnology. Dr. Shao and her group have discovered a series of novel lignocellulases, the key aldehyde dehydrogenase for ethanol formation, the repressor/operator system coupling glycolysis and fermentation pathways, and the regulation mechanism of thermophilic ethanol fermentation. Dr Shao also invents new techniques for industrial enzyme production and modification, which include pHsh gene expression system (US patent), in situ gene random mutagenesis (CN patent; US patent), high production of thermostable laccase (CN patent), soluble expression of aggregation-pron enzymes, and gfa selection marker for the bio-safety of gene transfer in microbes. Her current research is mainly focused on the metabolic engineering of extreme thermophiles for cellulosic ethanol fermentation, the development of novel gene expression and evolution techniques for an efficient industrial enzyme production, and the exploration and construction of highly active and thermostable enzymes for the biodegradation of lignocelluloses. With a masters degree as an Agricultural Biologist and as a trained farmer Michael Köttner is professionally involved in Biogas and Bioenergy Technology for more than 25 years. His portfolio ranges from professional services as a scientist and farmer in USA and South Africa, adult education, to being a founding member and CEO (1992 – 2000) in Europes biggest biogas association, the German Biogas Association with almost 5000 members today. 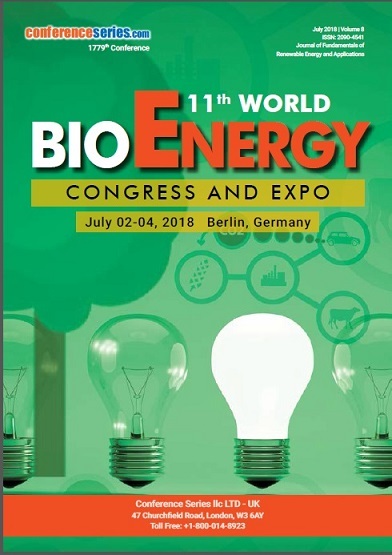 Since 2000 he is consultant, senior expert, as well as managing director of the International Biogas and Bioenergy Center of Competence (IBBK Fachgruppe Biogas GmbH) and Vice-President of the German Biogas and Bioenergy Society, GERBIO/FnBB e.V.. The main focus of his work is consulting and training work in the field of industrial and small scale decentralized biogas technology with manure, plant oil for energy production, wood gas (gasification, pyrolysis) and ecological sanitation in a regional, national and international context. The main focus of his work is consulting and training work in the field of industrial and small scale decentralized biogas technology with manure, plant oil for energy production, wood gas (gasification, pyrolysis) and ecological sanitation in a regional, national and international context. Yulin Deng received his Ph.D. at Manchester University, United Kingdom in 1992. After he worked as a postdoc research fellow at McMaster University in Canada, he was appointed as an assistant professor at Institute of Paper Science and technology (IPST) in 1995, and promoted to associate professor in 1998. He was moved to Georgia institute of Technology in 2003, and promoted as a full professor in 2008. Dr. Deng is a Fellow of the International Academy of Wood Science, and hold a James C. Barber Faculty Fellow position at Georgia Institute of Technology. He received AIChE Chase Award in 2013. He is a member of ACS, AIChE and TAPPI. He is also an associate editor of 2 journals, and serves as the editorial board member for another 5 journals. He published more than 250 peer reviewed papers covering the areas of bioenergy, biomass, biofuel, fuel cell, nanosceince and nanotechnology, and nanoelectronics. 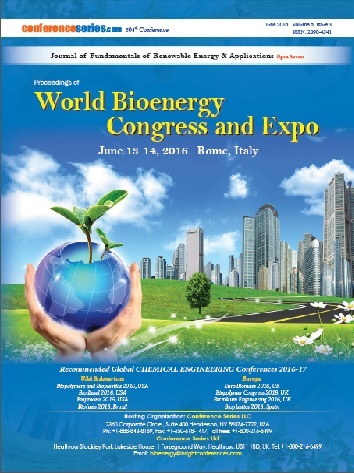 Bioenergy, biomass, biofuel, fuel cell, nanosceince and nanotechnology, and nanoelectronics. Dr. Janzhong Sun, is a Director of Biofuels Institute of Jiangsu University, China. He is also an Distinguished Professor, Graduate faculty for Ph.D. students. He has served his role as Vice dean, School of the Environment and Safety Engineering, Jiangsu University, China. Also an Adjunct professor, Dept. of Biological Systems Engineering, Washington State University, USA. Also Vice president, China Energy Association, P. R. China. Also Standing executive committee, China Energy and Environmental Technology Association. 1. Nature-inspired Technology for Biomass Conversion Interested in biomimetic/nature-inspired technologies from wood-feeding animals (e.g. termites, cow) or other biological conversion systems for efficient biomass conversion towards high value-added biorefinery products; exploring valuable extremophile bacteria and gut symbionts identified from wood-feeding animals for efficient biomass conversion, novel biomass pretreatment technology, and the breakthrough technology in bioreactor designs with biomimetic processing. 2. Grassy Energy Crops and Cultivation Technology Interested in cultivar development (cross breeding/polyploidy breeding) for energy crops, such as Miscanthus, Pennisetum Purpureum and hybrid Pennisetum; Genetic transformation of grassy energy plants with exogenous thermophilic lignocellulosic enzyme genes; Key techniques of high-value added products from agricultural residues; Development of salt-resistant grassy energy crops and their resistance mechanism; Plant endophytes and their industrial applications as microbial fertilizers. 3. Gene Engineering/Enzymatic Engineering Interested in screening novel gene sequences for biomass degradation; Cloning and sequence optimization of thermophilic lignocellulose enzyme genes and their high-efficiency expression; Non-rational design and in situ directed evolution technology and its applications in high-throughput screening of mutant genes; Refining pHsh-heat shock expression system and its application; Developing biological safety high-density fermentation technology for high enzymes production. 4. Environmental Bio-electrochemistry Interested in the mechanism of extracellular electron transfer and its manipulation, microbial fuel cell and its energy harvesting technology from organic pollutants, and biodegradation of emerging new pollutants, bio-sensing environmental monitoring. 5. Bio-based Materials and Fiber Composites Interested in developing advanced functional bio-based materials, including eco-friendly lignocellulose/polymer composites, thermal insulation lignocellulose composite foams, cellulose-based materials for energy storage, anti-bacteria, and adsorption, lignocellulose hydrogels, functional nano-lignocellulose particles, 3D printing materials developed from biomass and other advanced bio-based materials. Dr. Nhuan (John) Nghiem holds a Masters degree in Chemical Engineering from the University of New South Wales and a PhD also in Chemical Engineering from Louisiana State University. He has more than 30 years of experience in industrial and government research laboratories. His past and current research activities focused on development of commercially feasible bioprocesses for production of fuels and chemicals from renewable resources. While at the Oak Ridge National Laboratory (ORNL) he was a member of the team consisting of researchers from several U.S. Department of Energy’s National Laboratories and an industrial partner that developed and patented the technology for biological production of succinic acid by genetically engineered Escherichia coli strains in a two-stage fermentation process. The technology won one of the R&D 100 awards in 1997. He currently is a Lead Scientist in the Sustainable Biofuels and Co-products Research Unit at the Eastern Regional Research Center of the U.S. Department of Agriculture’s Agricultural Research Service, where he is leading the effort to convert all components of the sorghum plant to fuels and industrial chemicals. Dr. Nghiem’s current interests include pretreatment and subsequent conversion of lignocellulosic biomass feedstocks to fuels and chemicals, and capture and use of fermentation-derived carbon dioxide as feedstock in bioconversion processes. Arthur Ragauskas held the first Fulbright Chair in Alternative Energy and is a Fellow of American Association for the Advancement of Science, the International Academy of Wood Science and TAPPI. In 2014, he assumed a Governor’s Chair for Biorefining based in University of Tennessee’s Department of Chemical and Biomolecular Engineering, with a complementary appointment in the UT Institute of Agriculture’s Department of Forestry, Wildlife, and Fisheries and serves in the US Energy and Environmental Sciences Directorate, Biosciences Division, at ORNL. His research program is directed at understanding and exploiting innovative sustainable bioresources. This multifaceted program is targeted to develop new and improved applications for nature’s premiere renewable biopolymers for biofuels, biopower, and bio-based materials and chemicals. He is the recipient of the 2014 TAPPI Gunnar Nicholson Gold Medal Award, ACS Affordable Green Chemistry award and 2017 Green Process Engineering American Institute of Chemical Engineers. Mr. Muhammad Usman, Former Director General of Agricultural Research System, Government of Pakistan who retired from service after a spotless career of about 35 years with senior level experience on research and development of integrated agricultural production, industries and bioenergy on a sustainable way. Mr. Usman is basically an agricultural scientist with specialization of agricultural, food and biochemistry working on the yield and quality of various products and published several research papers. Mr. Usman is consider as the senior most scientist in the world, always participated in the international conferences as a keynote speech, renowned speaker, organizing committee member as well as moderator of the conferences around the world. Mr. Usman established “Prominent Agro Based Industries, Agro Based Industries and Consultancy SDN BHD” in Malaysia and “Foundation for Rural Development in Pakistan”, with primarily aims to work on integrated agricultural project for Rural Development through improvement in agriculture and consultancy services to the formers at Malaysia. Dr. Miguel Nuno Miranda received the degree in Energetic Engineering (University Autonomous of Lisbon) in 1998 and the Ph.D. degree in Environmental Science (University of Aveiro) in 2009, Portugal. Dr. Miguel Miranda has authored more than 60 scientific works (including chapters, papers in international journals and book of proceedings, and poster presentations) and serves as Editorial Board Member of several scientific journals as well as Organizing Committee Member in International Conferences. His main research interests include waste management through thermochemical conversion processes (pyrolysis, gasification and hydrothermal liquefaction), production of fuels and biofuels and solar energy concentration (SEC) solutions towards the production of solar fuels. His main research interests include waste management through thermochemical conversion processes (pyrolysis, gasification and hydrothermal liquefaction), production of fuels and biofuels and solar energy concentration (SEC) solutions towards the production of solar fuels. Bulent ICGEN received his MSc. and PhD. in Biotechnology at Middle East Technical University (METU) of Ankara in 1994 and 2000, respectively. He conducted two-year-post-doctoral research at the Department of Chemical Engineering, Bioprocess Engineering Research Unit of University of Cape Town (UCT) in South Africa. In 2008, he became an Associate Professor and took up a faculty position at Kirikkale University (KU) till 2012. Since then, he has been a faculty at METU in the Department of Environmental Engineering. He became a Professor in 2017. Meanwhile, as a visiting faculty, he visited Princeton University (PU) Department of Civil and Environmental Engineering and Massachusetts Institute of Technology (MIT) Department of Earth, Atmospheric and Planetary Sciences (EAPS) in 2011 and 2015, respectively. His interests lie in the fascinating and often complex array of processes taking place in microbial environment and the behaviour of the microorganisms under different environmental conditions. He particularly enjoys looking at systems from environmental and microbial biotechnology perspective, trying to tease out the key relationships between consortiums. He likes using molecular biological methods to investigate the occurrence and distribution of bacteria in the environment in order to provide direct information on community structure for variety of environmental and industrial applications. His team focuses on microbial biotechnology, with a recent focus on environmental genomics, transcriptomics, and proteomics. Kaveh Ostad-Ali-Askari is a Ph.D. of Civil Engineering,Faculty of Civil Engineering, Najafabad Branch, Islamic Azad University, Najafabad, Isfahan, Iran. His interested topics including Groundwater Hydrology, Irrigation and Drainage Engineering, Sustainable Development and Environmental Assessment, Climate and Integrated and Sustainable Water Resource Management, Water System Engineering, Water Resources Planning, Artificial Neural Network and Genetic Algorithm. He has contributed to more than 194 publications in Journals, Books, or as Technical Reports. Currently, he is as Faculty Member of Department of Civil Engineering, Islamic Azad University, Isfahan (Khorasgan) Branch, Iran. His interested topics including Groundwater Hydrology, Irrigation and Drainage Engineering, Sustainable Development and Environmental Assessment, Climate and Integrated and Sustainable Water Resource Management, Water System Engineering, Water Resources Planning, Artificial Neural Network and Genetic Algorithm. Jaroslaw Krzywanski is an Associate Professor at the Faculty of Mathematics and Natural Science at Jan Dlugosz University in Czestochowa, Poland. He received the M.Sc. degree from Czestochowa University of Technology, Department of Mechanical Engineering and Computer Sciences, Institute of Thermal Machinery, Poland and Ph.D. degree from Silesian University of Technology, Faculty of Energy and Environmental Engineering, Poland. He has published more than 100 papers in journals, books and conference proceedings refereed papers and serves as an editorial board member of several international journals. He has participated in the scientific committee of several conferences and serves as a reviewer in a wide range of international journals. He is interested in modeling of energy objects and processes, including gas emissions and hydrogen production from biomass combustion and gasification, respectively. He uses both programmed and AI methods to predict pollutants emissions from biomass co-combustion in large-scale circulating fluidized bed (CFB) boilers, chemical looping combustion (CLC) of biomass in a pilot-scale fluidized bed (FB) systems as well as the H2 concentration in syngas during the hydrogen production via CaO sorption enhanced anaerobic gasification of sawdust in a laboratory-scale FB systems. He uses both programmed and AI methods to predict pollutants emissions from biomass co-combustion in large-scale circulating fluidized bed (CFB) boilers, chemical looping combustion (CLC) of biomass in a pilot-scale fluidized bed (FB) systems as well as the H2 concentration in syngas during the hydrogen production via CaO sorption enhanced anaerobic gasification of sawdust in a laboratory-scale FB systems. Maulin P. Shah, currently Chief Scientist & Head – Industrial Waste Water Research Lab, Division of Applied and Environmental Microbiology Lab at Enviro Technology Ltd., Ankleshwar, Gujarat, India, received his Ph.D. (2002-2005) in Environmental Microbiology from Sardar Patel University, Vallabh Vidyanagar, Gujarat. He has served as an Assistant Professor at Godhra, Gujarat University in 2001. He is a Microbial Biotechnologist with diverse research interest. A group of research scholars is working under his guidance on the areas ranging from Applied Microbiology, Environmental Biotechnology, Bioremediation, and Industrial Liquid Waste Management to solid state fermentation. My primary interest is the environment, the quality of our living resources and the ways that bacteria can help to manage and degrade toxic wastes and restore environmental health. Consequently, I am very interested in genetic adaptation processes in bacteria, the mechanisms by which they deal with toxic substances, how they react to pollution in general and how we can apply microbial processes in a useful way (like bacterial bioreporters). One of our major interests is to study how bacteria evolve and adapt to use organic pollutants as novel growth substrates. Bacteria with new degradation capabilities are often selected in polluted environments and have accumulated small (mutations) and large genetic changes (transpositions, recombination, and horizontally transferred elements). His work has been focused to assess the impact of industrial pollution on microbial diversity of wastewater following cultivation dependant and cultivation independent analysis. His major work involves isolation, screening, identification and Genetic Engineering of high impact of Microbes for the degradation of hazardous materials. He has more than 200 research publication in highly reputed national and international journals. He directs the Research program at Enviro Technology Ltd., Ankleshwar. He has guided more than 100 Post Graduate students in various disciplines of Life Science. He is an active Editorial Board Member in more than 150 highly reputed Journal’s in the field of Environmental & Biological Sciences. He was Founder Editor-in-Chief of International Journal of Environmental Bioremediation and Biodegradation (2012-2014) as well as Journal of Applied and Environmental Microbiology (2012-2014) (Science and Education Publishing, USA). He is also serving as a reviewer in various journals of national and international repute. Recently, he has been awarded as a Young Biotechnologist Medal by Biotechnological Society of Nepal”. He is Associate Editor in BMC Microbiology (Springer Nature), Advisory Board in CLEAN-Soil, Air, Water (Wiley), Editor in Current Pollution Reports (Springer Nature), Editor in Bulletin of Environmental Contamination & Toxicology (Springer Nature), Editor in Environmental Technology & Innovation-ELSEVIER, Editor in Current Microbiology-Springer Nature, Editor in Journal of Biotechnology & Biotechnological Equipment-Taylor & Francis, Editor in Ecotoxicology (Microbial Ecotoxicology)- Springer Nature. A senior expert in bioenergy supply chains and in the use of algal and non-food plant systems for the capture of CO2 and production of green chemicals and biofuels. She gained a PhD in plant biochemistry from the University of Durham, then joined Genzyme Biochemicals in protein production before moving into Business Development and Industrial Marketing. She resumed her research career at Imperial College on wood degradation and the biochemistry of polymeric lignin breakdown, then joined the University of Greenwich, where she holds the Chair in Biochemistry in the Faculty of Engineering and Science. She has led international and national research programmes, more recent of which include “The CO2 microalgae biorefinery: D-Factory”, a 10 million Euro FP7-funded project (https://www.d-factoryalgae.eu/)(ongoing); “Macrobiocrude”, (EPSRC-funded) http://gtr.rcuk.ac.uk/projects?ref=EP%2FK014838%2F1(ongoing) ; Non-food bio-oil supply chains (EU-ACP-funded) (http://www.acpnonfood.com/) aimed at capacity building measures in South Africa, Namibia and Ghana to create sustainable, non-food bio-oil supply chains; Ecotec21 (EU-Interreg) http://enterprise.gre.ac.uk/case-studies/glycerol-chp-a-world-first which installed novel, biofuel-fired CHP technology at the University of Greenwich using biooils and glycerol; and Tuning algae for biofuel profitably (NERC, Innovate UK). 90 publications; 2164 citations; h-index 23; i10-index 35. Prof. Irene M. C. Lo is currently a full professor in the Department of Civil and Environmental Engineering and Director of Environmental Engineering and Management Program at The Hong Kong University of Science and Technology (HKUST). She has been joining HKUST since 1992. Prof. Lo is an elected Academician of the European Academy of Sciences and Arts (EASA). She is the first Hong Kong scholar inducted into the EASA. She is an elected Fellow of the Hong Kong Institution of Engineers (FHKIE), and elected Fellow of the American Society of Civil Engineers (FASCE), She received her Ph.D. degree in Civil (Environmental) Engineering from the University of Texas at Austin in 1992. She is also Adjunct Professor of Tongji University, Tianjin University, Jilin University and Harbin Institute of Technology in China. She had been Visiting Professor of Technical University of Denmark and the University of Wisconsin at Madison. Prof. Lo was the recipient of the 2004 ASCE James Croes Medal, the 2007 ASCE Samuel Arnold Greeley Award, the 2008 EWRI Best Practice-Oriented Paper Award, the 2009 ASCE Wesley W Horner Award, and the 2012 ASCE EWRI Best Practice-Oriented Paper Award. Prof. Lo has held 3 Patents, edited 7 technical books, and published over 270 SCI journal articles and conference papers with citation of 5650+ and H-index of 409. Her research areas include magnetic nano-particles and nano-photocatalysts for environmental applications; pollutant migration in soils; food waste and solid waste treatment and management; and remediation technologies for river sediment, contaminated soils and groundwater. Her research areas include magnetic nano-particles and nano-photocatalysts for environmental applications; pollutant migration in soils; food waste and solid waste treatment and management; and remediation technologies for river sediment, contaminated soils and groundwater. Dr. Dana Pokorna is Assistant Prof. at the Department of Water Technology and Environmental Engineering, Faculty of Technology of Environment Protection, University of Chemistry and Technology Prague. She has lectures on subjects "Biodegradability and Ecotoxicity" and "Technology of biogas and biohydrogen production". Main activities in research area are anaerobic wastewater treatment and sludge stabilization, the anaerobic biodegradability of organic compounds, methods for the determination of anaerobic biomass activity, special analytical methods (gas chromatography and capillary isotachophoresis) for the monitoring of anaerobic metabolism and the anaerobic biodegradability of organic compounds, the removal of hydrogen sulfide from biogas both using sulfur oxidizing bacteria immobilized on biofilter and by autotrophic denitrification combined with the removal of nutrients from wastewater. Currently, she is interested in upgrading biogas to biomethan utilizing stored renewable energy in the form of hydrogen and the biological transformation of CO2 to biomethane. She is the author or co-author of tens of papers and conference presentation on renewable energy and the production and cleaning of biogas. She has participated in solving a number of projects dealing with anaerobic process and biogas production. Dr. Pokorna is the member of International Water Association (IWA) and European Federation of Biotechnology (EFB), the member of Czech Biogas Association and Czech Water Association and the member of the Czech Biotechnology Society Committee. 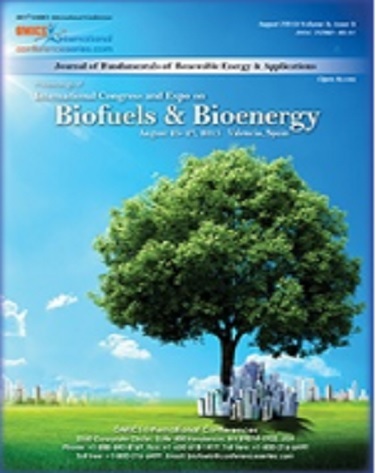 Main areas of her interest – anaerobic biodegradation of organic substrates, determination of anaerobic biomass activity, analytical determination of byproducts and end products of anaerobic degradation, biogas cleaning (H2S removal), upgrading biogas to biomethan and transformation of CO2 to biomethan. Inder Singh with a Masters in Organic Chemistry and PhD in combined fields of Organic Chemistry and Pharmacology has been providing custom environment friendly solutions for pharmaceutical industry globally for 35 yrs. and now in the renewable energy sector for 10 yrs. Inder has extensive industry experience in developing new custom molecules, reaction specific catalysts, catalysis, process intensification and in developing continuous processors and downstream product recovery systems. He has successfully developed several manufacturing processes that are used commercially in pharmaceutical industry. He has established, owned and operated SBI Fine Chemicals and SBI BioEnergy for over 18 yrs. in Canada. Inder has extensive industry experience in developing new custom molecules, reaction specific catalysts, catalysis, process intensification and in developing continuous processors and downstream product recovery systems. Lt Col Monish Ahuja (Retd) is currently the Managing Director of Punjab Renewable Energy Systems Private Limited (PRESPL). He is an alumnus of the prestigious National Defence Academy, Khadakwasla, Pune. He is holding the following degrees in education proficiency: •	Post Graduate (M.Tech) in Nuclear Technology from Bhabha Atomic Research Centre in 2006. •	Bachelor of Technology (B.Tech) in Mechanical Engineering from JNU in 2002, •	Bachelor of Science (B.Sc) from JNU in 1994. In a short span with the understanding of the Biomass IPPs and biomass supply chain management, he set up the first of its kind biomass fuel aggregation and supply company Punjab Renewable Energy Systems Private Limited (PRESPL). The company has grown from a start up to INR 18 Crores Turnover Company in 5xYears time and having closed its first round of PE investment from Zurich based Impact PE- responsAbility in 2013. This is a big force multiplier to support biomass IPPs, process industry boilers, cogeneration plants and other industry using biomass as a feedstock. Lt Col Monish Ahuja (Retd) is known in the Biomass fraternity as a dedicated and knowledgeable leader. He has been advocating the barriers faced by Biomass Project Developers at various seminars and forums and has been instrumental in impressing MNRE (Ministry of New and Renewable Energy Sources, India) towards the cause of biomass power plants. His work also includes developing advanced separation technologies for separating nutrients from digestate and transforming these into valuable and marketable fertilizers. Dr. Saady received a B.Sc. in Civil Engineering and M.Sc. in Environmental Engineering from the University of Technology (Iraq), and a Ph.D. from the University of Windsor (Canada). He worked as an associate researcher at Dairy and Swine Research and Development Centre, Sherbrooke, Quebec. He received seven prestigious scholarships including three NSERC top scholarships. He published 30+ peer-reviewed articles, two book’s chapters, and served on committees for 6 international conferences in USA, Canada and Europe. He is the Editor-in-Chief for Advances in Recycling & Waste Management Journal published by OMICS International. Dr. Saady is currently a consulting biogas projects development scientist. Dr. Saady is specialized in developing environmental biotechnologies to bioconvert organic waste biomass into biofuel and bioenergy such as hydrogen, methane, and electricity using wet and dry anaerobic digestion. Microbial fuel cell and bioelectrochemical technology. Lignocellulose hydrolysis. Biodegradation and fate of recalcitrant organic compounds and emerging contaminants. Identification and evaluation of on-farm clean and renewable technologies. Biofiltration of volatile organic compounds (VOCs) present in livestock industry waste gases. Development of psychrophilic microbial processes. Jay J. Cheng is a Professor of Bioprocessing and Environmental Engineering at North Carolina State University, USA and Adjunct Professor at Peking University-Shenzhen Graduate School, China. He graduated from Jiangxi Institute of Technology (now Nanchang University) in China with BS in Chemical Engineering in 1982, St. Cyril & Methodius University in Macedonia with MS in Biological Engineering in 1987, and University of Cincinnati in USA with PhD in Environmental Engineering in 1996. He was a Fulbright Scholar at University of Architecture, Civil Engineering and Geodesy, Sofia, Bulgaria in 2005/2006. Dr. Cheng’s research has been focused on wastewater treatment and bioenergy production processes. His research effort has resulted in publications of a book, over 80 articles in refereed scientific journals, and more than 80 papers in national and international technical conferences. Dr. Cheng is among the most cited authors in the areas of Bioenergy and Environmental Engineering. He has been invited to present over 60 key-note speeches and seminars in China, Europe, and North and South Americas. Rajai Atalla, Ph.D., Chemical Engineering and Chemical Physics, University of Delaware. Has 40+ years of experience in research on cellulosics and lignocellulosics. Pioneered application of Raman and Solid State 13C NMR spectroscopy for characterizing molecular organization of celluloses, both in their native states and after modification by traditional industrial processes. His pioneering work led to discovery of the occurrence of native celluloses as composites of the I/alphaand I/beta forms. Served as consultant to many companies in the forest products and cellulosics sectors. Has undertaken research under contract for National Renewable Energy Laboratory (NREL) and served as member of working group for US Department of energy. After a period in the private sector, served as Professor of Engineering and Chemical Physics at Institute of Paper Chemistry in Appleton, Wisconsin. In 1989 became Head of Chemistry and Pulping Research at the USDA Forest Service Forest Products Laboratory in Madison, Wisconsin and Adjunct Professor of Chemical and Biological Engineering at the University of Wisconsin, Madison. Established Cellulose Sciences International (CSI) in 2007 to undertake research for NREL and develop the CSI process. Well over 200 peer reviewed publications, book chapters and patents. Currently editing proceedings of a symposium on Nano-Cellulosics. Innovations based on a new process for producing a previously unknown nanoporous form of cellulose; the process is carried out at ambient temperature and pressure. We currently concentrate on two areas. The first is adding value to agricultural residues, making them much more digestible by ruminant animals. The second is enabling enzymatic conversion to monosaccharides for production of biofuels and bio-based chemicals far more rapidly than when the residues are pretreated at elevated temperatures as is common in the majority of current commercial ventures. Dr. Donald L. Rockwood, President of Florida FGT LLC, has over 30 years of experience on the development and use of Eucalyptus amplifolia, E. grandis, Corymbia torelliana, Populus deltoides, cypress, and slash pine hybrids in Florida and elsewhere. Also Professor Emeritus at the School of Forest Resources and Conservation, University of Florida, he is actively involved with the genetic improvement of several Short Rotation Woody Crop (SRWC) species, including the commercial release of E. grandis cultivars, and with research on and the development of SRWC systems using these species. Carlo Perego (Carnate, Milan, Italy, 1954), Director of the Centre for Renewable Energy and Environmental R&D (eni SpA, Istituto Donegani, Novara), has been carrying out research activities in chemical and oil companies for nearly 37 years. Carlo received the laurea in Industrial Chemistry in 1978 from the State University of Milan and a Post-Degree Specialization Certificate in R&D Management at the Bocconi University of Milan. He started working in catalysis during his laurea thesis, with pioneering experiments on the insertion of CO2 in butadiene catalyzed by Pd(0) complexes. Those researches draw the attention of Montedipe SpA , the petrochemical company of Montedison Group, the largest Italian chemical company. So Carlo was hired at the R&D Center of Montedipe in Bollate, when he began his professional career in industrial research and development (1980). During the stay in Montedipe, Carlo contributed to the optimization of several catalytic processes, including the phenol and styrene processes. After a further experience as pilot plant manager in a small chemical company (3V Sigma, 1989), Carlo moved to Eniricerche, the R&D Corporate Company of the Eni Group (1990), as Group Leader for Catalytic Processes and Catalyst Preparation. He was then appointed Manager of the Physical Chemistry Department and in 2005 he became Manager of the R&D Process Technology Department in Eni Refining and Marketing Division. In January 2007 he had the responsibility of setting up and organizing a new R&D group focused on renewable energy and environmental technologies. Since 2008 he is the Director of Eni Renewable Energy and Environmental R&D Center (Novara, Italy). The research studies carried on by Carlo have been the basis for important technologies, which have been industrialized in the petrochemistry and refinery fields. His main technical-scientific discipline is heterogeneous catalysis: in this area, Carlo has led several activities about innovative processes and innovative catalysts, especially for applications like alkylation of aromatic substrates, hydroconversion, valorization of heavy refinery residues, advanced biofuels. These R&D activities in different scientific areas have all the common feature of aiming at technologies, which can be more sustainable in terms of increasing energy efficiency, decreasing the yields of unwanted by-products, ensuring a better use of energy sources. Particularly relevant is the replacement of the old catalysts based on mineral acids with a new generation of zeolite-based catalysts in the processes for the production of important intermediates like cumene and ethyl-benzene. Besides Carlo contributed to the development of the eni/UOP EcofiningTM process for the production of greendiesel from triglycerides. More recently, under the direction of Carlo, the Renewable Energy and Environmental R&D Centre is carring out different reseach programmes devoted to the development of new process and products for the exploitation of solar energy, the transformation of biomass into biofuels, the enviroment protection. Michael Wild, economist and engineer by education, is active in renewable energies for practically his entire 26 years professional career. He has pioneered Biomass fired district heating systems in Austria and conversion of coal fired systems to biomass in former socialist countries. The first internet based biomass trading platform (ABEX) was started by him in 1999. Until 2010 he led the international biomass trading company EBES creating numerous intercontinental supply chains for many types of biomass from Asia and Northamerica towards Europe and within Asia to Japan. Beside other biomasses he initiated the acceptance of Palm Kernel Shell as energy carrier and implemented the first supply chains from Indonesia to Europe and Japan. From 2007 he took a leading position in torrefaction technology development forming also a consortium with Andritz AG. In 2012 he helped setting up the International Biomass Torrefaction Council IBTC within AEBIOM whose members elected him president. He is actively supporting producers and trading houses developing their trade into Europe acting as their European Sales Manger. Co-founder of Carbon Wealth, a company to “convert atmospheric CO2 into a fuel via Skymining©. Henrik V. Scheller is a senior scientist at Lawrence Berkeley National Laboratory, Adjunct Professor at Department of Plant & Microbial Biology, University of California Berkeley, and Adjunct Professor at Department of Plant and Environmental Sciences, University of Copenhagen. He earned his Ph.D. in Plant Biochemistry from The Royal Veterinary and Agricultural University, Copenhagen, Denmark, after completing a degree in biology at University of Copenhagen. Henrik V. Scheller was professor of molecular plant biology at University of Copenhagen until before joining Lawrence Berkeley National Laboratory to work at the Joint BioEnergy Institute where he is Head of the Feedstocks Division. JBEI is a research center with the task of doing the fundamental research that will enable generation of advanced biofuels from optimized bioenergy plants. Henrik V. Scheller’s research is focused on the biosynthesis and function of plant cell wall polysaccharides. The cell wall has many functions in the growth and development of plants, and in the interactions with the environment, including pathogenic organisms and beneficial microbes such as mycorrhizal fungi and nitrogen-fixing bacteria. Scheller’s research is centered on understanding the biochemistry and regulation of cell wall biosynthesis and on determining the functional role of specific cell wall polymers. He is also engaged in research aimed at engineering plants with improved properties as feedstocks for production of biofuels and bioproducts. Biosynthesis of the plant cell wall, glycosyltransferases, plant biotechnology. Dr Malgorzata Slupska has completed PhD at the Institute of Biochemistry and Biophysics Polish Academy of Sciences at Warsaw, Poland and postdoctoral studies at Lawrence Berkeley Laboratory and University of California Los Angeles, CA. For over 15 years she worked in the area of biofuels at biotech companies (Diversa and Verenium, San Diego, CA), BP Biofuels (San Diego, CA) and currently she is a Lignocellulosic Research Director at POET (Sioux Falls, SD). Dr. Slupska has published more than 20 scientific papers and coauthored 12 patents and patent applications. Dr. Hosseini has earned both his PhD and MS degrees in Chemical Engineering from the University of Akron, in Ohio, USA. He has also completed an MSE degree in Manufacturing Engineering at UTRGV in Texas, USA, and a Bachelor’s degree in Chemical Engineering at Sharif University of Technology in Tehran, Iran. Dr. Hosseini has edited book and book chapters, co-invented patents application technologies, and authored multiple peer reviewed research articles. He has served as a key speaker at national and international conferences and meetings and has been actively engaged in technology development. He is a persistent reviewer of leading international journals. Prof. Daniela Thrän studied environmental engineering at the Technical University of Berlin. After completion, she obtained her PhD at the University of Weimar, Germany. Daniela Thrän is an accomplished researcher, having held positions at both the University of Potsdam and Stuttgart. In 2003, she became the Department Head of “Bioenergy Systems” at DBFZ - Deutsches Biomasseforschungszentrum gGmbH (former: IE Leipzig gGmbH). In 2011 she also took the lead of the newly established department „Bioenergy“ at the Helmholtz Centre for Environmental Research GmbH (UFZ). Professor Thrän is currently leading a multidisciplinary team of about 50 scientists, working in a broad spectrum of interests, investigating different national and international research projects focusing on areas of; biomass potentials, bioenergy pathways and their assessment, standardisation of solid biofuels material flow management and sustainability assessment. She is the author of more than 100 publications in the bioenergy sector. Since the end of 2011 Daniela Thrän holds the chair „Bioenergy Systems“ at the University of Leipzig. 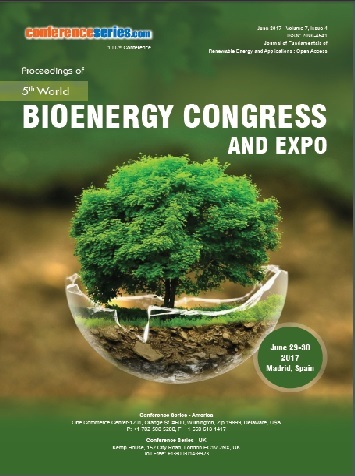 Prof. Thrän is a member of the German Bioeconomy Council of the Federal Republic of Germany, the Energy Council of Saxony (Germany). As well she participates in various working groups, both national, such as the German Institute for Standardization (DIN) and international, such as, the International Organization for Standardization (ISO), of the International Energy Agency (IEA Bioenergy Task 40) and European Biofuels Technology Platform (EBTP). Francisco García-Labiano, Graduate in Chemistry, MsC in Chemical Engineering, completed his Ph.D in 1992 at University of Zaragoza, Spain. He is Scientific Researcher at the Instituto de Carboquímica in Zaragoza, belonging to the Spanish National Research Council (CSIC). His research has been always close linked to environmental challenges in energy production processes. In fact, he has long experience in the development of clean coal technologies, such as sulfur removal during combustion/gasification processes in fluidized beds. Since 2000 he is involved in the development of the Chemical Looping Combustion (CLC) process, one of the most promising technologies within the area of CO2 Capture and Storage (CCS) aiming to reduce global warming. He is author of more than 150 publications in international peer reviewed journals, 3 patents and several book chapters. Special highlight requires the review entitled “Progress in Chemical-Looping Combustion and Reforming technologies” published in 2012. During last years he has been actively engaged in the use of renewable fuels, such as biomass, bioethanol, etc. in Chemical Looping processes (bio-CLC) with the main objective to reach negative CO2 emissions in energy processes. He was recognized as Highly Cited Researcher by Thomson Reuters within engineering area in years 2015 and 2016, which means to be among the top 1% most cited in their specific field over a period of 10 years. Prof. Sudip Rakshit is a Canada Research Chair (Tier 1) in Bioenergy and Biorefining processes attached to the Biorefining Research Institute and the Department of Chemical Engineering at Lakehead University, Canada. He completed his PhD program from the Indian Institute of Technology (IIT), Delhi India, were a pilot plant for the production of 100 litres of absolute of bioethanol per day was set up in 1987. He subsequently joined the Chemical Engineering faculty of IIT, Madras. In 1995, he joined the Asian Institute of Technology (AIT) as a Professor in Food Engineering and Bioprocess Technology. He served at the VP Research for the institute from 2005 to 2012, before moving to Canada. He has supervised more than a 100 graduate students and has more than 120 publications in international peer reviewed journals. The overall focus of Dr. Rakshit’s present research is in the area of production of value added platform chemicals from lignocellulosic biomass. His research group study the possibility of producing these material from the sugar stream, hemicellulose and cellulose components, obtained by the pretreatment of woody biomass. Studies on the separation and use of high value extractives from the bark is also being assessed. The utilization of the crude glycerol, a byproduct of the biodiesel industry, form the production of bioplastics have yielded some interesting results. The design of such processes which can be integrated into existing plants are assessed for the economics and environmental impacts as they are considered important for economic feasibility. ELIO SANTACESARIA Achieved Master in Chemistry degree at the University of Pavia, thesis performed under the guidance of the Nobel Prize “Giulio Natta”. Researcher at the Polytechnic of Milan from 1969 until 1986.Full professor of Industrial Chemistry at the University of Naples from 1986 until 2012.He has been the founder of GICI the Italian Group of Colloid and Interphase Science of the Italian Chemical Society and has been the Coordinator of this Group for more than ten years (1985 - 1995). He is a member of the Italian Chemical Society SCI, of the Italian Association of Chemical Engineers (AIDIC), of the American Chemical Society (ACS) and of the International Association of Colloids and Interphase (IACIS) and of IUPAC. He had been organizer of many national and international Congresses, workshops and post-doctoral schools.He has been member of the Scientific Committee of the Industrial Chemistry Division of the Italian Chemical Society for 10 years. He has then been elected President of the Industrial Chemistry Division of the Italian Chemical Society for the period 2004-2006 renowned for the 2007-2009 and member of the Council as Past President in 2010-2012.He has been President of the Council of the Industrial Chemistry Degree Course at the University of Naples from 1994 until 2009. In 2011 he was awarded from Italian Chemical Society with the Gold Medal entitled to the italian chemist “Emanuele Paternò” for the great contribution given to the Industrial Chemistry.In 2016 was awarded the Italian Group of Catalysis of the Italian Chemical Society with the Giacom Fauser plaque and related Conference.He has collaborated with many Italian and foreign chemical industries.He has published more than 250 papers on qualified journals related to subjects of: catalysis, kinetics, mass transfer, reactor design and simulation and separation science. He is coauthor of more than 30 Patents. After the retirement from the University of Naples at the end of 2012 he becomes CEO of the spin-off company Eurochem Engineering srl. Professor Yulin Deng received his Ph.D. at Manchester University, United Kingdom in 1992. After he worked as a postdoc research fellow at McMaster University in Canada, he was appointed as an assistant professor at Institute of Paper Science and technology (IPST) in 1995, and promoted to associate professor in 1998. He was moved to Georgia institute of Technology in 2003, and promoted as a full professor in 2008. Dr. Deng is a Fellow of the International Academy of Wood Science, and hold a James C. Barber Faculty Fellow position at Georgia Institute of Technology. He received AIChE Chase Award in 2013. He is a member of ACS, AIChE and TAPPI. He is also an associate editor of 3 journals, and serves as the editorial board member for another five journals. He published more than 250 peer reviewed papers covering the areas of biomass, biofuel, fuel cell, nanosceince and nanotechnology, and nanoelectronics. Professor Ashwani Kumar MSc (Botany) Gold Medal, Ph.D. (1971) University of Rajasthan. Awarded Alexander von Humboldt Fellowship Germany, Visiting Professorship JSPS Japan, U.K. INSA-DFG Germany. Worked in areas of plant pathology, physiology, renewable sources of energy, biofuel biotechnology, photosynthetic carbon fixation in C3 and C4 plants with support of projects granted by UGC., USDA-ICAR., MNES, CSIR, DST and DBT and FACT. Visited USA, Canada, Denmark, Italy, Netherlands, UK , Japan, France, Sweden, Spain and Portugal for research. Published around 180 papers in National and International journals. Fellow of various societies FBS, FPSI, FISMPP and FMA. Guided research to 39 students to Ph.D. Consultant of World Bank Project sanctioned to SPRI-HPPI and Biodis Spain. Published 16 books including Plant Tissue Culture A tool in Biotechnology Basics and application and edited book on Fern Biotechnology both by Springer. He also has another 14 books mainly in the field of Biotechnology to his credit. He was awarded V Puri Medal 2008 for Botany and CEE award for excellence in teaching and research 2015.
renewable energy technologies ,Advancements in biofuels and bioenergy research. Prof. Rajasekhar Balasubramanian has been a faculty member at NUS since 1996. Prior to joining NUS, he worked at the New York State Department of Health and at Brookhaven National Research Laboratory, USA as a scientist. Prof. Bala has broad research experience and interests ranging across: Urban Air Quality, Climate Change Mitigation, Bioenergy, Health Risk Assessment and Urban Sustainable Environment. He has led several multi-national, multi-disciplinary research projects successfully over the years. His research has resulted in more than 200 international journal articles. In recognition of his excellence in research and teaching, Prof. Bala has received a number of research and educator awards.speaker/participant at the Atmospheric Chemistry Colloquium for Emerging Senior Scientists (ACCESS I), MIT, Boston, USA (1991); this selection was made based on the quality and impact of my PhD thesis. Best Paper Award, Tenth Regional IUAPPA Conference, Istanbul, Turkey (1997) Prestigious Publication Award, The Institution of Engineers, Singapore (2001) Best Paper Award, The Health Sciences Authority-National University of Singapore (HSA-NUS) Symposium on Environmental Health (2005) Best Paper Award (Oral Presentation) at the 60th International Scientific Symposium, hosted by the Department of Community, Occupational and Family Medicine (COFM), NUS, 2008. Certificate of Appreciation from the America Chemical Society in recognition of my valuable contributions and dedicated service to the peer review of manuscripts submitted to ACS journals (2012). Certificate of Merit Award, Division of Environmental Chemistry, American Chemical Society (October 2013). •	Plan and coordinate various waste management and recycling projects. •	Identify and quantify wastes. •	Coordinate the documentation required to label, move, track, and report waste and waste initiatives. •	Evaluate waste management options and apply a waste hierarchy model in order to reduce, reuse, recycle, recover, and dispose of waste material. •	Conduct research and analytical studies on a variety of waste management programs and issues. •	Investigate the life expectancy of consumable products and recommend options for more economical and environmentally friendly materials or processes. •	Work with company personnel in developing an appropriate and user-friendly waste management system. •	Assist in budget preparation and administration, including determining financial methods, procedures, and costs pertaining to environmental compliance and waste management services. •	Provide waste management training to clients and staff. Dr. Foster Agblevor is currently the Utah Science Technology and Research (USTAR) endowed Professor of Biological Engineering at Utah State University (USU), Logan UT and Director of USTAR Bioenergy Center, Utah State University. He is also Adjunct Professor of Biological Systems Engineering, Virginia Tech, Blacksburg, VA. He received Ph.D. in Chemical Engineering and Applied Chemistry from the University of Toronto. He did postdoctoral work at the Hawaii Natural Energy Institute, University of Hawaii, Manoa Campus, Honolulu, HI. Prior to joining USU in 2011, Dr Agblevor was Professor of Biological Systems Engineering, Virginia Tech, Blacksburg, VA. He was also a Senior Chemical Engineer at the National Renewable Energy Laboratory in Golden, Co. before joining Virginia Tech. Some of his awards and recognitions include the Virginia Tech College of Agriculture and Life Sciences Excellence in Basic Research Award, the Virginia Tech College of Engineering Dean’s Award for Excellence in Research. US Department of Energy Special Research Award. His research involves the thermochemical and biochemical conversion of biomass to fuels and chemicals. He is currently working on the fractional catalytic pyrolysis of biomass to produce biochar, chemicals, and biogasoline. Thermochemical and biochemical conversion of biomass to fuels and chemicals & fractional catalytic pyrolysis of biomass to produce biochar, chemicals, and biogasoline. Dr. Simmons joined Sandia National Laboratories (Livermore, CA, www.energy.sandia.gov) in 2001 as a Senior Member of the Technical Staff, serving as a member of the Materials Chemistry Department. He was promoted to Manager of the Energy Systems Department in 2006. The primary focus of the department was the development of novel materials-based solutions to meet the nation’s growing energy demands. In 2007, he was one of the principal co-investigators of the Joint BioEnergy Institute (JBEI, www.jbei.org), a ten year, $259M DOE funded project tasked with the development and realization of next-generation biofuels produced from non-food crops. He is currently serving as the Chief Science and Technology Officer and the Vice-President of the Deconstruction Division at JBEI, where he leads a team of 41 researchers working on advanced methods of liberating fermentable sugars from lignocellulosic biomass. He is also the Senior Manager of the Advanced Biomanufacturing Group at Sandia and serves as the Laboratory Relationship Manager for the Biomass Program. He has over 250 publications, book chapters, and patents. His work has been featured in the New York Times, BBC, the Wall Street Journal, the San Francisco Chronicle, Fast Company, and the KQED televised science program Quest. With a background in biofuel cells, nanophotonic materials, micro- and nanofluidics, desalination, biomineralization and enzyme engineering, Blake Simmons brings a wealth of research experience to the Deconstruction Division. Simmons has been responsible for overseeing the development of more energy-efficient and cost-effective methods to achieve the first step in bioenergy production: deconstructing biomass into fermentable sugars. Deconstruction researchers are developing various strategies for affecting these goals, including identifying microbes that have evolved to naturally break down biomass within a community, which become sources for efficient enzyme cocktails that could be used in the biomanufacturing process. In addition, scientists have developed new techniques, such as a one-pot ionic liquid pretreatment procedure that will reduce waste and cost, and another that does not require the use of expensive enzyme additives for pre-treating biomass and breaking it down into fuel sugars. Dr. P Shanmugam is employed as Senior Principal Scientist (Scientist -“F”) in the Environmental Engineering Department of Central Leather Research Institute (Council for Scientific and Industrial Research), Adyar Chennai.20 India, leading a team of Scientists/ Researchers and carrying out research in the field of sequential production of bio-diesel, bioethanol, bio-hydrogen and biomethane from fat and protein rich solid and liquid wastes as a “Biorefinery” through enzymatic transesterification, solventogenesis, hydrogenesis and methanogenesis respectively as an enzymatic biorefinery for CDM, high Carbon offsetting, and for better environmental protection. He has demonstrated many large scale onsite biogas plants producing power and fertilizer from leather, slaughter house, wholesale vegetable market complex waste and municipal organic solid wastes, which can be viewed in his web site www.clri.org/WriteReadData/Biodata/PaShanmugam.htm . Shanmugam did his Ph.D. on Hydrogen and methane generation from the phase separated anaerobic co-digestion of leather fleshing with MSW from Public Health and Environmental Engineering, School of Civil Engineering, University of Leeds, United Kingdom on Commonwealth Fellowship after his M.S.,Degree from Civil / Environmental Engineering, Department of Civil Engineering, from Indian Institute of Technology, Madras, Chennai, India and M.Sc. Degee in Environmental Sciences, (Specialization on Industrial Pollution and control) from Bishop Heber College, Bharathidasan University, Trichirappalli, Tamil Nadu. India. His core Professional responsibilities are to lead the bioenergy research ream and to deliver lectures in Wastewater Engineering and treatment and solid waste management for Leather industries to B.Tech and M. Tech. Environmental Engineering and Leather Technology students for Anna University, Chennai. Submerged Anaerobic Membrane separation technologies for water and waste water treatment for zero liquid and solid discharge. Bio-refinery producing biodiesel, bio-ethanol, biohydrogen and biomethane from Industrial and municipal organic solid and liquid wastes for Zero liquid Discharge, power generation (Waste into Wealth) and green house gas emission reduction. Design, erection, commission, execution, operation maintenance and troubleshooting assessment of large scale and pilot scale biohydrogen and methane plants (UASB and CSTR reactors. Tracer residence time distribution, rheology and Computational Fluid Dynamics (CFD) modeling detecting short circuiting and active/ dead zone predictions of anaerobic CSTRs Atmospheric air pollution dispersion modeling and photochemical smog formation studies Environmental Impact Assessment, Environmental Management Plan and QMS. DR.Mukesh Tulsidas Pandya, a Professor In Microbiology(Retired), Department Of Microbiology – Jai Hind College, Mumbai. He did his PhD From Bombay in Microbiology in 1983. He did his M. Sc. By Research From Bombay in Microbiology in 1975.He did his B.Sc. HONS From Bombay in Microbiology & Chemistry in 1972. He has a teaching experience of 37 years. He has published many papers in National and International journal and also conducted many workshops. •	Development of bacterial cultures for treatment of Industrial Wastes containing Hydrocarbons , Phenols , Nitrogenous Compounds , Straight and Branched Chain Amines , Amides Caprolactum , Mineral Oils, Sugars, bulk drugs, Cresols, Paracresidine etc. •	Management of Re-circulatory systems and control of Microbial Fouling of Heat Exchangers. •	Control of Micro-organisms in Environment in food and pharmaceutical industries. •	Inhibition of Nitrification Using Plant Seed Extract to increase the availability of nitrogen in soil after addition of nitrogenous fertiliser. •	Studies on Effect of Ammoniacal Nitrogen Containing Effluent on Soil Flora. •	Sulphate Reducing Bacteria their cultivation and Control in Oil Drilling Operations and in other Industrial Process. •	Studies on Microbial Contamination of Swimming Pool water and Its Control. •	Studies on Bacterial Contamination during manufacture of bottled water /mineral Water. •	Bioremediation of Natural water bodies like lakes. •	Development of Bioremediation products for Solid waste management. •	Hospital Acquired Infection in Hospital Environment and it’s control. •	Eco-friendly Disinfectant formulations. •	Sewage treatment and management. •	Anaerobic treatment programmes. •	Micro-algae an alternative to coal as Energy source. Modeling of Renewable Energy Systems (RES), Analysis of SmartGrids (SG), monitoring of energy performaces of RES, Big data management in RES, Analysis, modelling and simulations of power electronics circuits, Descriptive and inferential statistics of electrical data, Synthesis of electrical circuit.